Blooms this beautiful don''t need decoration! Fifteen tantalizing tulips in soft spring colors make a thrilling thank you gift or sweet and innocent reminder of your love or friendship. 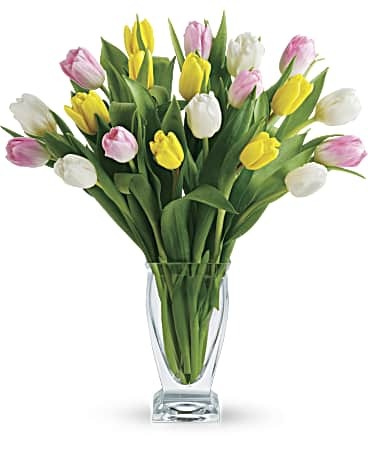 Fifteen tulips - in yellow, white and pink - are very simply and elegantly presented in Teleflora''s clear glass Couture Vase.